Hi guys! It's Lyssa from My Mommy Reads! 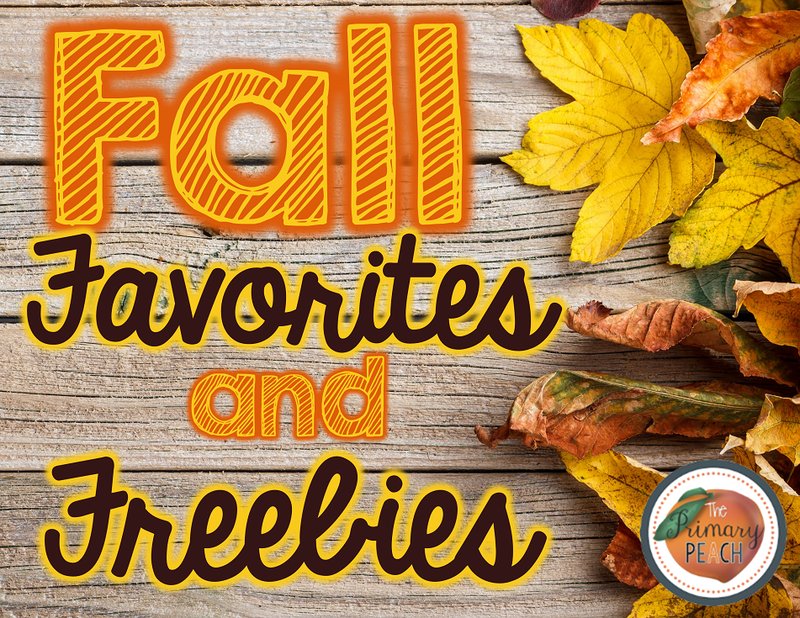 I'm so excited to be sharing one of my favorite fall freebies AND the chance to win a $50 gift card to Amazon or TPT from your friends at The Primary Peach! Fall is my favorite season. 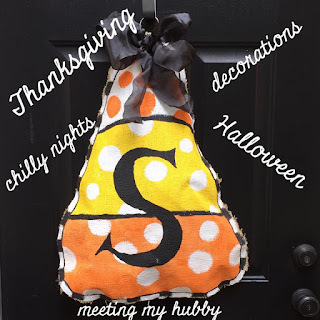 I met my wonderful husband in the fall. Fall reminds me of the fair in my hometown. Fall makes me think of apple picking and pumpkin posing. 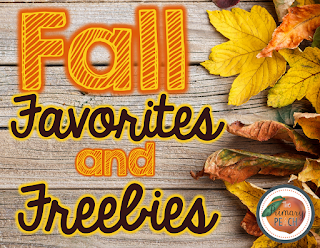 I can smell the apple cider brewing and the pecan pie baking. (Someone else making both of those of course!) I love Halloween and Thanksgiving, too. Now to the fall freebie! Place value is a biggie in first grade and representing numbers is a large part of that! After practicing the skill by building numbers with blocks, drawing it with tens and ones, expanding it, and matching it with tens frames-we celebrate! What better way to celebrate than with Frankenstein?!? 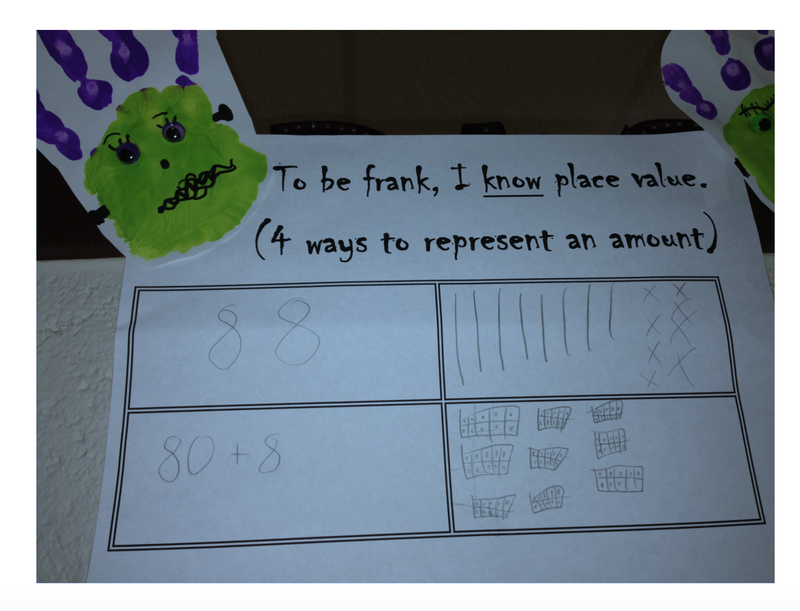 Here's how we made this math craftivity work with one teacher and like a billion first graders! 1. I posted a powerpoint on the Smartboard with random numbers to 200. Students built the numbers with tens and ones on their desks. They buddy checked. A friend clicked to the next slide for me. 2. I called them over three at a time to paint their hands. (Everyone else was still building.) Then they washed them. Three kids in the bathroom at a time is better than 50! 3. After everyone had a turn, I assigned their individual numbers and they completed their activity page. 4. The next morning, students cut out their Frank, glued wiggly eyes and added details with Sharpies. 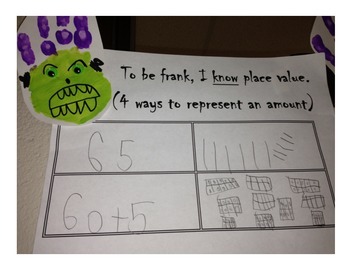 Then they glued their little Frank onto the paper. 5. Students then shared their Franks with a partner. Frankly, these were a BIG hit with my little mathematicians and you can pick up your FREE copy here! I am so glad I ran across you on GSMM! I am a teacher in Georgia as well (5th grade). I am looking forward to following you. Yay! I hope we meet soon! !